Inception is a brilliant beacon in the void of summer cinema. And because of the season it seems to shine a little brighter than it really does. 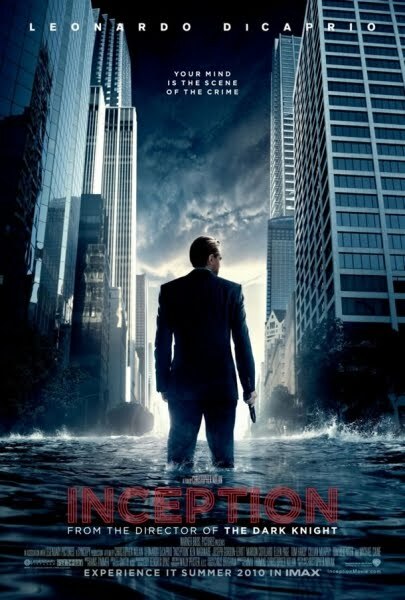 Just so there is no misunderstandings about it, my opinion of Inception is near total enthrallment. Using the goodwill and money banked from his more commercially successful projects, Christopher Nolan has released a movie of unquestionable high quality and supreme craftmanship. He also has the clout to have a weightier movie released at the time of cinema season where family fare and small fry film focus takes over the local cineplexes. Ostensibly Inception is a heist movie with the very clever twist of leaving something instead of taking away. It is about depositing an idea in a movie full of ideas. It has been reported that Nolan has been toiling away on the story for this movie for a decade and it shows in the construction and layering of plot. Much of the discussion about the complexity of the movie has been focused on the heist aspects. The implantation of an idea into the mind of Cillian Murphy’s character, Robert Fischer, Jr., requires DiCaprio’s Cobb and his Dream Team to go further than one level of dreaming. They have to go down a further two levels of dreams adroitly dramatizing the whole concept of a dream within a dream. It is with this device where Nolan displays his mastery of story telling. The rules of time and how to exit one dream level and get back to the preceding one are beautifully executed. During the heist there is no confusion as to which level of dream the story is taking place or how the events in one dream affect the ‘reality’ of the others. It is during this process of explanation that the concept of the totem as the anchor to reality is introduced. We see it demonstrated. We believe in its validity. But should we? Nolan’s storytelling mastery goes further. For the heist is the sizzle. The glamour. What Nolan is doing with the heist is a sleight of hand of Prestige like proportions from that previous Nolan enterprise. The heist is the diversion from the real meat of the movie; Cobb’s obsession to return to his family after the death of his wife. While the film clearly delineates the moments leading up to and during the heist, the other moments are not firmly anchored. We assume they are real moments but when Cobb is reflecting on his wife and family the certainty of reality is questionable or, at best, elusive. Are those moments true memories or dreams or memories shaped to fit Cobb’s needs and desires? Nolan is doing his best to stop us from questioning the reality of those moments by shifting our focus elsewhere. Brilliant. Are the other team members real or projections of Cobb’s subconscious? Arguments could be made either way. We never learn much of anything of the team members beyond their specific function to the team. Put them all together and they could be said to be a single entity. Just like Cobb is. The one character that seems more realized is that played by Ellen Page, Ariadne. She is the architect builder of the dream world and Cobb’s protection from his memories of his dead wife undoing any dream world of his construction. During the building of the dream worlds to be used in the heist, Ariadne discovers the reasons behind the tragedy of the death of Cobb’s wife. She points out the dangers to Cobb – but really the audience – that he is placing the entire team in. Once again Nolan plays with the audience. Ariadne is an interesting choice of name. In Greek mythology she aided Theodeus as he navigated the maze and defeated the Minotaur of King Minos. Is Ariadne real or a projection of Cobb’s subconscious? Nolan leaves it for the audience to determine. As Nolan does with the film ending. For when Cobb spins up his totem, we wait with carefully orchestrated anticipation to see if it will topple. Even Nolan cannot resist the urge to leave the audience with that spinning top shot. A shot that was pre-ordained when we saw it spin and fall earlier in the film. Which goes to show that dreams, like movies, follow patterns. Patterns which spring from our minds through the filter of our subconscious to color the stories we tell and share. If I have quibbles with that last shot cutting away from the spinning top as being too predictable; or the emotionally cool tone of the picture; they are minor. Differences in individual responses confirms reality because dreams are uniquely subjective just like our responses to shared storytelling. Mr. Nolan has deposited a bank vault full of ideas into the minds of movie goers. Most impressive. 2010/07/30 Addendum – having seen the film twice now my conviction is that Nolan has purposely constructed this film so that both viewpoints – dream versus reality – are valid. A virtuoso performance of story telling.